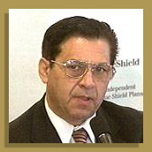 Mr. Daniel Martino is nationally recognized as a public speaker and has made numerous presentations at fraud-investigator seminars, national health care anti-fraud conferences, and a variety of other venues. The firm provides its clients with insight into how problems are identified, pursued, and evaluated, which, in turn, results in investigation and resolution of these matters. Additionally, Mr. Martino suggests guidelines for avoiding and preventing fraud. Participation in the firmʼs training seminars and presentations can have a lasting impact on your operations regardless of your role in the health care delivery system. Mr. Martino also serves as a consultant to law firms, business groups, associations, corporations, and advocacy groups concerning the prevention of, detection of, and methods utilized in addressing white-collar crime. Mr. Martino is available for public speaking appearances and presentations concerning health care fraud and its impact on the economy, health care industry, and the community. Mr. Martino also provides health care anti-fraud training to interested parties. The firm will work with the client to custom-design a meaningful presentation to meet the needs of the audience.